When a garment factory collapsed in Bangladesh killing over 700 people, Galen Weston, CEO of Canadian grocery giant, Loblaw's and Joe Mimran, CEO of Joe Fresh, were quick to meet with the media. They expressed their horror and extended condolences to the families of those dead and injured. 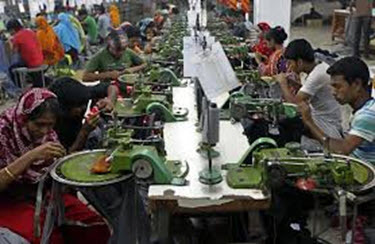 The factory in Savar, Bangladesh, produced clothing for Joe Fresh, a low-cost fashion line sold in Loblaw's grocery stores across Canada. The response to the tragedy by Weston and Mimran was textbook P.R. and both men are to be lauded for their willingness to address it head-on. It does, however, beg two questions. What responsibility does business have to work place health and safety in developing regions? And, what is the responsibility of the consumer? 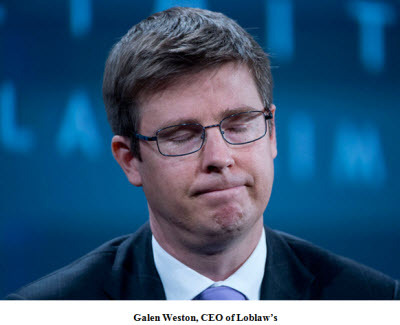 Galen Weston has expressed dismay that other retailers manufacturing garments in the same factory — approximately 30 other organizations — have not stepped forward to publicly condemn the lack of rigorous standards for building codes, standards that are legal requirements in western facilities. He also vowed to 'be a force for good' to drive change. "What role does industry play," he asked, "in propagating a manufacturing culture that would take such risk with people's lives? In a consumer market that has a voracious appetite for low-cost goods this question becomes even more relevant. Amidst calls to boycott Joe Fresh by activists, it appears that the public is prepared to place at least part of that responsibility on the shoulders of domestic retailers. But before we point fingers, we should also take a hard look in the mirror. Consumer demand is fuelling low cost manufacturing solutions like those found in Bangladesh. Current estimates place the number employed by the garment industry in that country at 3.6 million. It currently ranks second amongst the world's apparel makers and exporters. The minimum hourly wage is twenty-one cents, the lowest in the world. By comparison, a garment worker in the United States makes between $8.00 and $14.00 per hour. The tragedy in Bangladesh awakens us to the fact that in a global marketplace, we have global responsibilities. As Messrs. Weston and Mimran point out, due diligence is required to ensure workplace safety is consistent with international standards. At the same time, western business cannot be patronizing. Developing countries have their own governmental and regulatory agencies. We cannot simply tell them what to do. A partnership, such as the one that Loblaw's is advocating, makes good sense to improve standards and protect lives. A robust Risk Management program can help advance this cause. Uncertainty drives risk. The vulnerability to unfortunate events like those in Bangladesh is especially high when doing business in developing countries where financial, legal, human rights, health and safety, supply chain, production, terrorism, war and natural disasters can be risk scenarios. Risk avoidance, hazard prevention and risk reduction strategies should form the basis of the plan. Risk mitigation is a requirement for global business but the risk assessment process must extend to all markets where a company does business, including third-party manufacturing. As Loblaw's and other companies are discovering, business can no longer afford to turn a blind eye to labour, workplace safety, environmental and product safety issues. More attention paid to the beforemath can prevent needless suffering in the aftermath. Posted on May 1, 2013 by Patrick O'Neill.